Hi my name is Ben and I'm the business owner for Cosy Fires our company was formed in 2017 and our fireplace showroom based in Sellindge had its opening day in May this year. I personally hold 13 years' experience in the industry while taking the business as a family run business we work together to make sure the customer is happy. Cosy Fires undertakes all the works possible including plastering, all building works removing fireplaces rebuilding chimney breasts external and internal, fitting fireplace surrounds, oak beams, flue liner installations, supplying and fitting hearths including brick hearths. 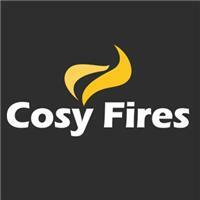 Cosy Fires is fully registered with HETAS to certify all works being carried out is covered under insurance.